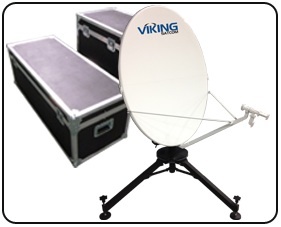 Viking Satcom’s Quick-Deploy Antenna Systems are designed for worldwide transmit and receive operation. 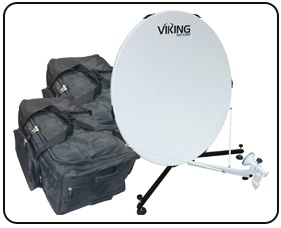 The lightweight portable antennas consist of durable sectional reflectors with Quick Deploy Mounts. 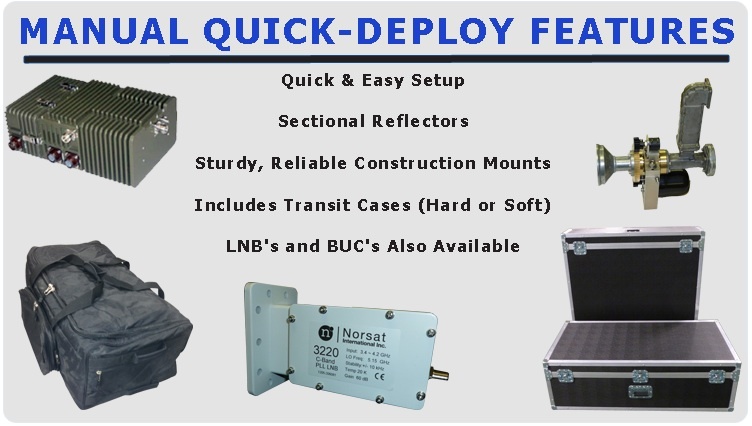 These features allow for quick and easy assembly in the field. 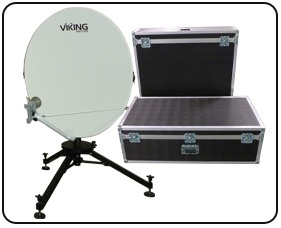 They are supplied with either hard or soft cases for smooth transportation. 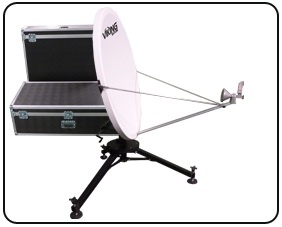 We also offer Custom Tripod Mounts to adapt to various reflectors. 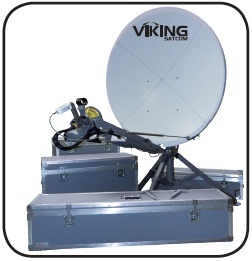 Viking Satcom offers Mobile Auto-point Antenna Systems for a variety of Transmit Receive applications. 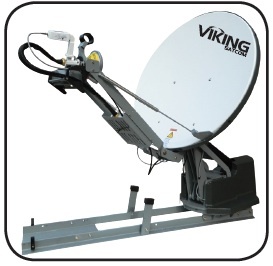 Whether it is for Internet access when out of network, telephone contact during a disaster, or Inclined Orbit applications, we can assist. 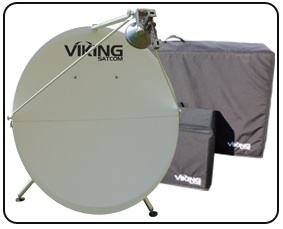 The Viking Satcom Mobile Auto-point Antenna product line is built for the most demanding applications while being extremely user friendly. 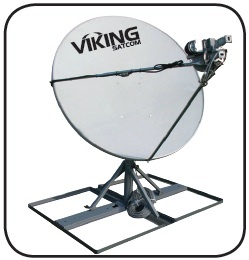 The systems are comprised of sturdy motorized mounts that are rugged as well as reliable. 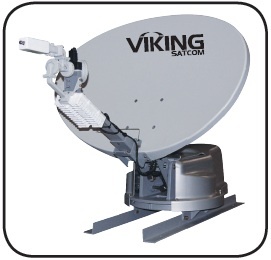 The integrated two way antenna controller features single-button operation without requiring an external PC. 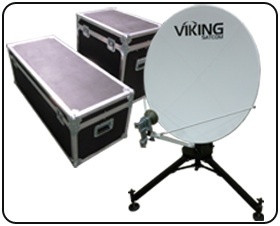 The rack mountable controller is integrated with most platforms such as iDirect, HughesNet, SpaceNet, Comtech, Comtech Vipersat, LinkStar and Nera.